Spring is the prime time for woodland plants: they rush into flower before the canopy of leaves finally closes out the sunlight. Although magnificent at the moment, they don’t do much for the rest of the year, so plant them under deciduous shrubs or around later-flowering perennials. Omphalodes have dull evergreen foliage, but by the time they start flowering the new leaves are also appearing, all fresh and apple-green, a cheerful match for the sprays of blue flowers. 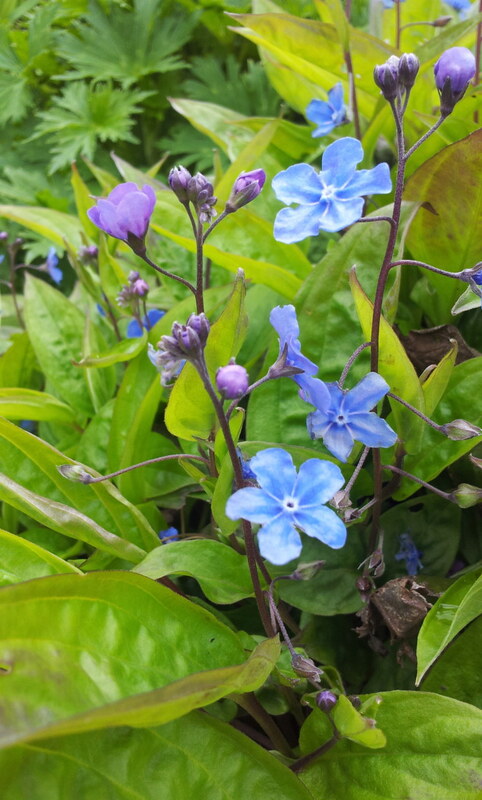 Although the buds open with a violet tinge, the flowers at their peak are a strong true-blue. . The sprays of flowers grow to about 20cm tall in March and April and the plant grows best in light shade in all but boggy soils.